Use these tips to avoid some of the more painful lessons players must learn in Assassin's Creed Odyssey. Some games are easy to master, and others take a bit more time. 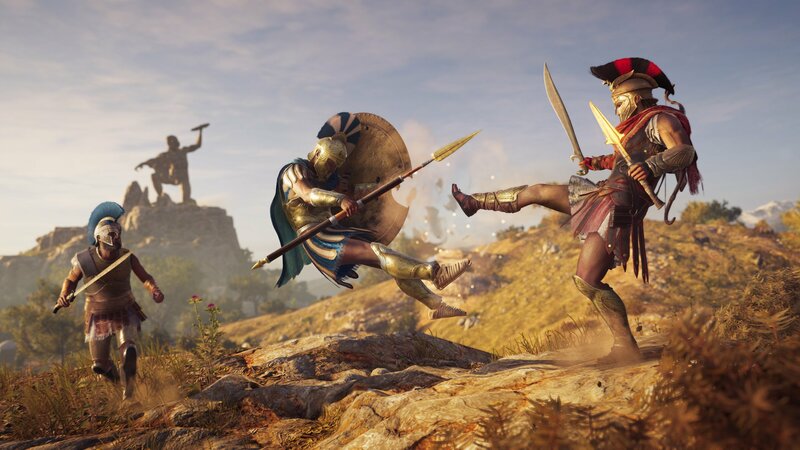 While Ubisoft has a habit of holding the player’s hand in open-world games, Assassin’s Creed Odyssey is difficult to master. There is so much content spread over a huge world that it will take dozens of hours to become comfortable with all areas of the game. Hopefully the following tips will make your journey through Ancient Greece a little less painful than parts of mine. 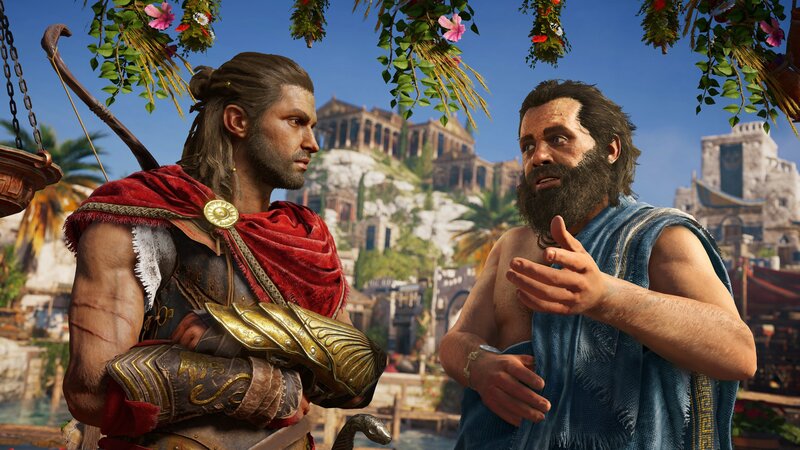 Assassin’s Creed Odyssey has introduced some RPG elements, including dialogue and gameplay choices that can impact how your story plays out. Often, you’ll make a decision that feels minor at the time but can alter the way your story progresses. This isn’t just true with main quests, either, as side quests can be just as impactful if you’re not paying attention. What seems like the obvious choice that any good person would make can have devastating results. If you aren’t sure about something, create a save prior to chatting with an NPC. 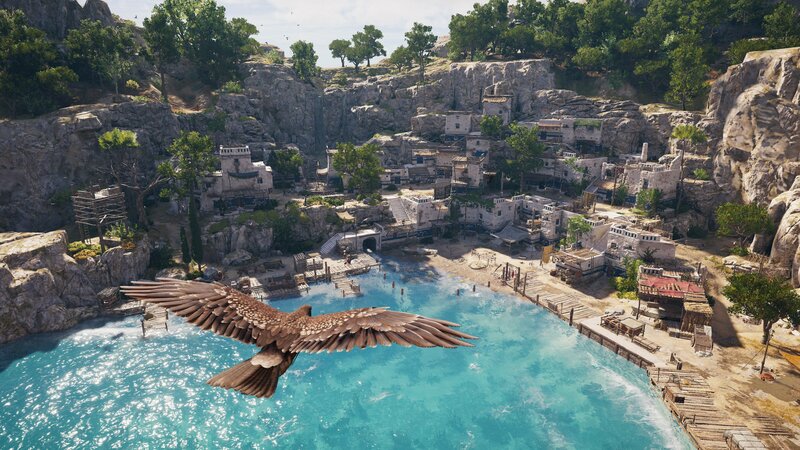 Like previous Assassin’s Creed games, Odyssey gives players an eagle that can scout an area from above, marking enemies and points of interest. This eagle is named Ikaros and is hugely overpowered, marking things through walls, deep underground, and from long distances. Look for indictors on your screen that point somewhere, and as you get close you’ll get a reticle. This is how you know something important is nearby. Ikaros can sense it. When the reticle goes away and returns to normal, you’ve spotted everything in the area and can go about clearing it. One of the early abilities that can be unlocked from the Warrior tree is the Sparta Kick, which works just like it did in the movie 300. It will knock almost any enemy back, including bears and huge beasts. It won’t kill them but can stun them and give you a chance to deliver some damage. What I like to do, though, is retreat to great heights when I’m overwhelmed. As enemies climb up to get me, I Sparta Kick them from the roof (or cliff) to their death. This can be an easy way to kill a lot of enemies quickly, or one enemy who is far above the level you should be fighting at. 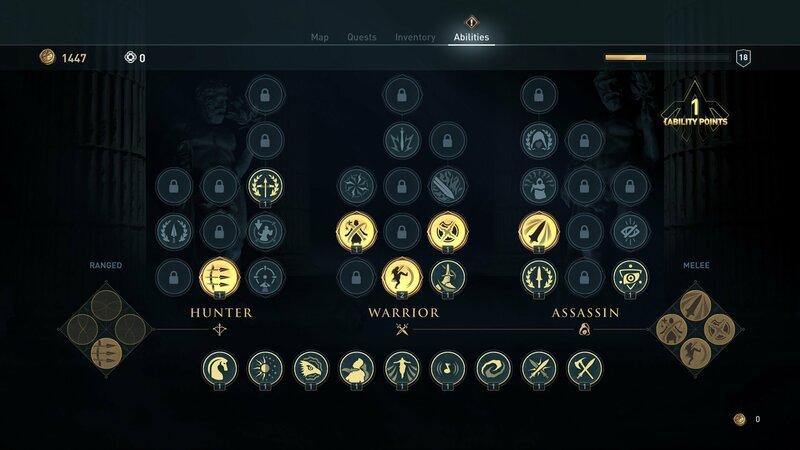 As I got into double-digit hours playing Assassin’s Creed Odyssey, I started to get a sense of what kind of a player I was and what abilities worked. Unfortunately, I’d spent ability points on things that weren’t at all of interest, and I wanted them back. Thankfully, Ubisoft has given you the option to reset your abilities at any time for a small sum of Drachmae (in-game currency). If you don’t like how your assassin is shaping up, don’t hesitate to hit the reset button and try again. I was ready to go full Hunter and Assassin, only to realize that Warrior was much more efficient in most situations. 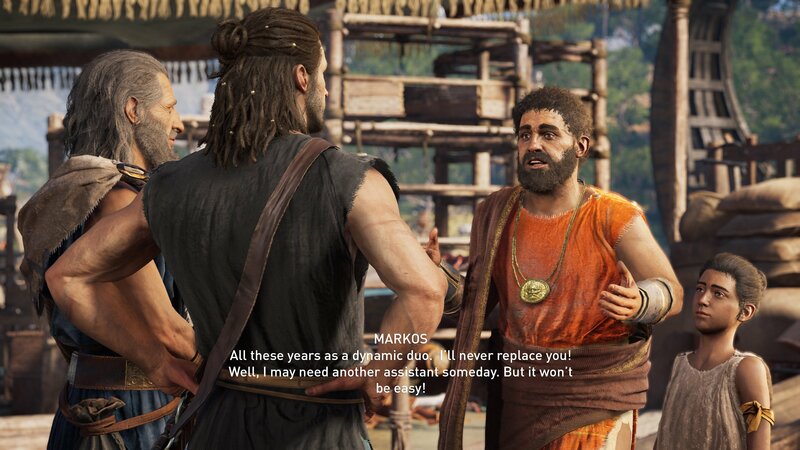 The bounty hunter system in Assassin’s Creed Odyssey can be overwhelming. As you commit crimes and spend too much time being a menace, NPCs will take out bounties on you. Sometimes it’s just one bounty hunter after your blood, and sometimes it’s three. If you bring up your map there will be the option to pay off all bounties, which is strangely inexpensive I found. Now, you might do this because you’re in a main quest and can’t be bothered, but paying off your bounty has disadvantages, like losing out on high-level gear. Just last night I got a legendary weapon by offing a low-level bounty hunter on my tail. 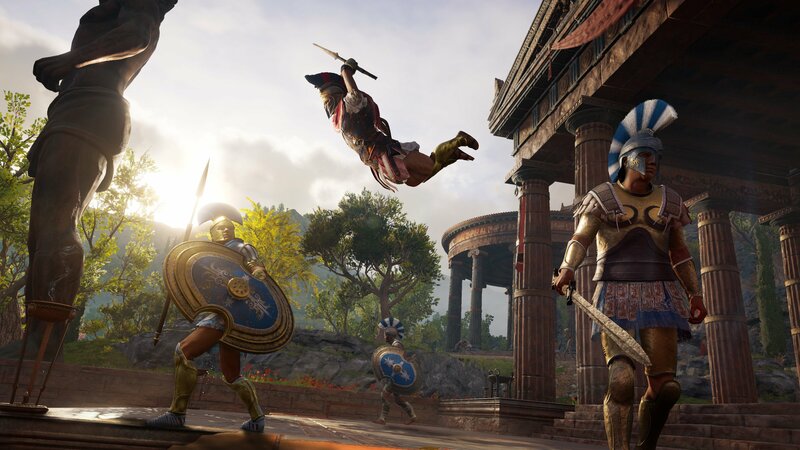 You’re going to get hurt in Assassin’s Creed Odyssey. Eventually, your stealth ways will fail, and you’ll end up in combat with more than you can handle. If this happens and you’re about to die, run. Break line of sight with your attackers and crouch in tall grass or a bush. If you’re able to hide for a short period of time, your health will begin to regenerate, and you can plan your next move. Your enemies will continue to look for you, so don’t get too comfortable, but this little cowardly trick has saved my life more times than I can count, and it’ll undoubtedly save you from reloading a previous checkpoint. 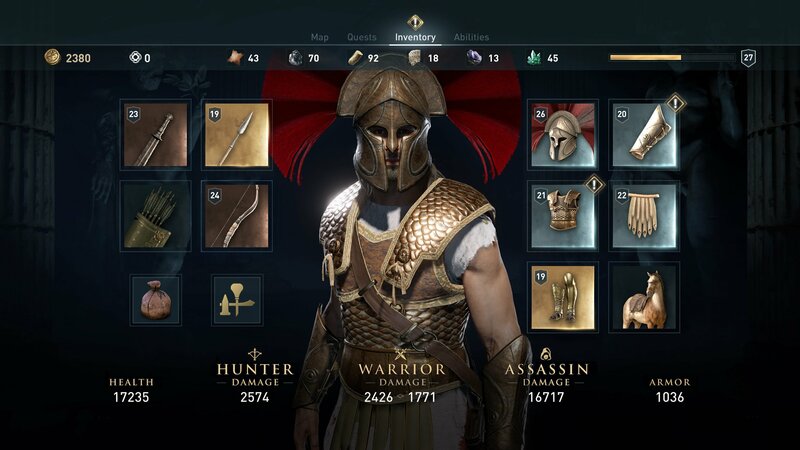 Assassin’s Creed Odyssey has a weapon and armor upgrade system that players will want to use on their most prized gear. By visiting a blacksmith, you can spend some money and resources bringing gear up to your current level, increasing its stats and making it relevant again. The reason for this is that epic and legendary gear tends to drop with more bonuses than lower-level gear, and those bonuses are how you go about building your ideal assassin. If you find an epic or legendary weapon you love, be sure to visit the blacksmith each time you level up to upgrade its stats. 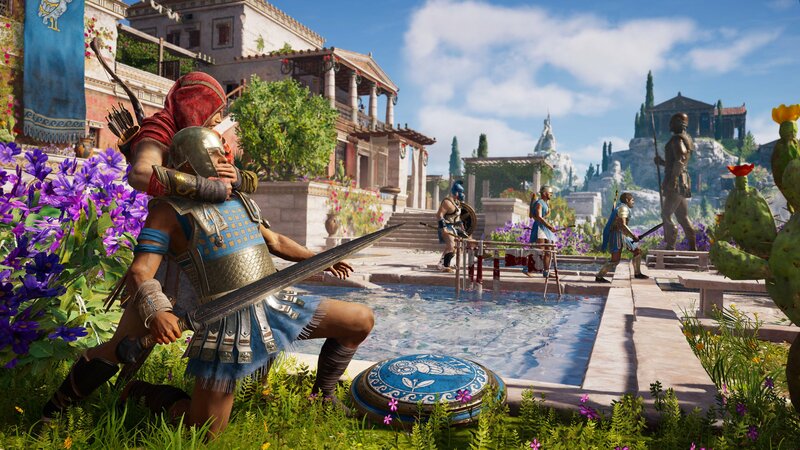 There’s a lot more going on in Ancient Greece than I can cover in one go, so be sure to visit the Assassin’s Creed Odyssey walkthrough and guide.